This article is part of our Android 7.1 Nougat Feature Spotlights series. 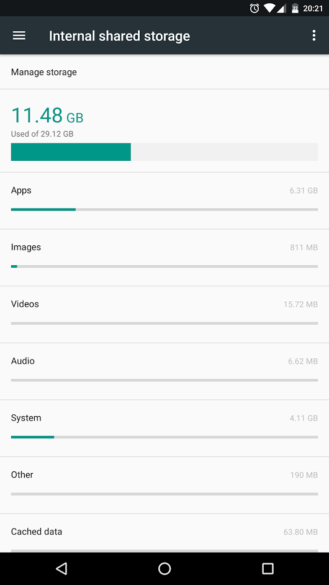 Android's storage management has steadily improved over the last few years, with a storage manager added in Marshmallow and adoptable SD cards as well. 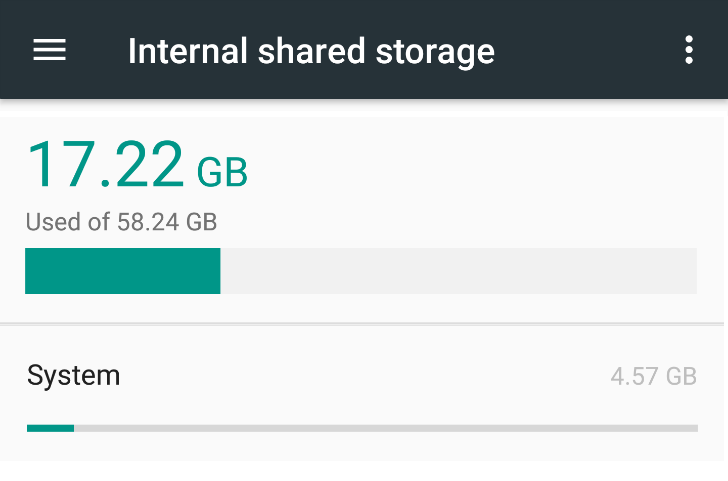 The next small, iterative improvement arrives in Android 7.1 Nougat, with System now separated out into its own entry in the storage management screen. This means that, when viewing the storage that has been used, it will now show System storage and how much has been taken up by the System - on my 6P running 7.1, System takes up 4.57GB. On my Wileyfox Spark, which runs Marshmallow (albeit Cyanogen OS, but still) ... I can't tell because there's no System entry. To be clear, this doesn't mean you can browse the System partition through the storage manager - when tapping 'System,' it shows a dialog saying 'System includes files that Android can't display individually.' No getting rid of those root file managers just yet, then. Above: storage settings, showing System as a separate entry. As is becoming a theme with 7.1 Nougat, this is just more polish on top of an already very good operating system. It is useful to see how much storage the system takes up, especially when clearing your phone or tablet of months-old junk and some such.